Sharon Truman, right, accused of leading police on a chase in Redding, Calif., in a minivan that resembles the "Mystery Machine." 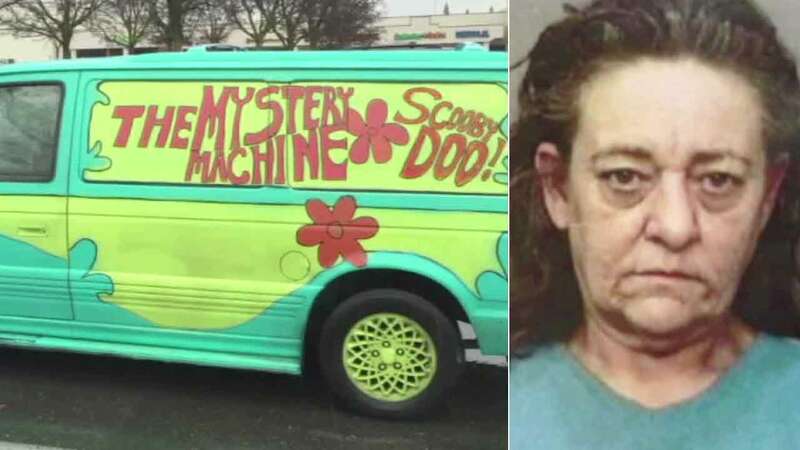 REDDING, Calif. -- Police are asking for the public's help in finding a driver who took off in a van resembling "Scooby-Doo's" "Mystery Machine" in Redding. They chased the minivan on Sunday with the driver going 100 mph and blowing through red lights. Then the driver, 51-year-old Sharon Truman, gave police the slip, hopping out of the "Mystery Machine" and running off.